» How Smart Are Huskies and Do They Make Good Pets? How Smart Are Huskies and Do They Make Good Pets? ​​Huskies are amazing animals – they look spectacular, they are loyal, they are affectionate, and they bond with people very quickly. 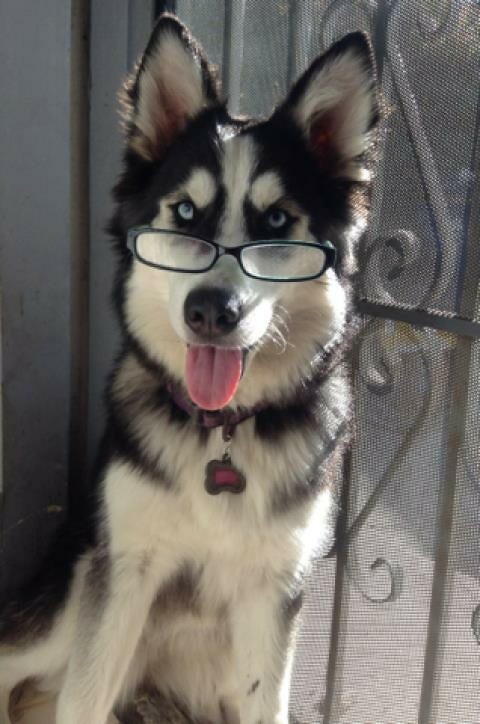 How smart are huskies? Well, if you consider that they are often used as work dogs, that should give you an answer – they are some of the sharpest and most aware dogs you will ever find – easy to train, and loving in a way that you might not see in other breeds. ​A lot of people don’t really think about the intelligence of the dog – instead of thinking “how smart are Huskies?” they think about obedience or stubbornness instead – which is the wrong way of looking at it. You see, Huskies are independent. They care about what their owners want, but they also think about what they want and make their own decisions – so sometimes if they seem hard to train, it’s not that they don’t understand the training, it’s their intelligence kicking in and them thinking they know better. You can work around this – and you’ll find that a well-trained Husky is amazing. As a service animal, for example, a Husky is a great choice – they can make judgements about things like whether it’s safe to walk into a road – and make smarter decisions than other, more ‘easily led’ dogs. How best to work with Husky Intelligence? ​Huskies are very energetic, and if you aren’t able to give them the amount of exercise that they crave, they will become rather destructive. They are also pack animals, so they need to socialize – if you can’t give them the attention they need, and get them out and playing with other dogs, then they will probably be pretty unhappy. Those who adopt huskies while they are young, though and then spend time working with them and training them, and who are able to give them an active lifestyle, find that they do make great pets. ​t’s a good idea to start training early on – that’s not to say that you can’t adopt an older husky and tame it, but just like kids, huskies learn very quickly while they’re young, and you’ll find that older, free spirits, are a little tougher to work with. If you have other pets, then you definitely want to acclimatize your husky to them early on – because when they grow up they become very big dogs, and you’ll struggle if they are hostile to your cat or your other dogs. ​Don’t keep a Husky cooped up inside – remember that their natural desire is to run free, and it’s unfair to them to not give them a chance to burn off that excess energy. You will quickly see what the traits of your pet are when you work with them, and if you have any concerns – for example if it looks like your pet is hostile to another type of animal – that will give you an idea of what precautions to take when they get bigger. Huskies make great, loyal pets for most households, but they are headstrong and smart and you need to remember that.